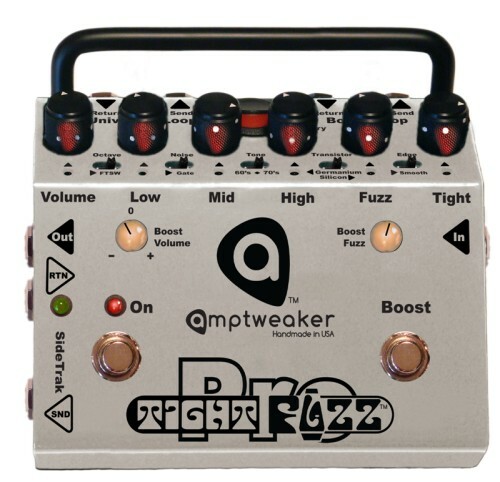 Amptweaker have been making some of our favorite drive pedals in recent years. 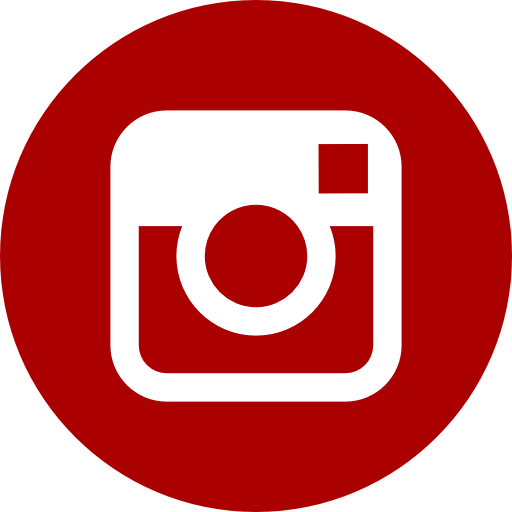 They think of all the little problems that guitarists face from day to day with their rig and look to solve them all while also making killer fuzz, overdrive and distortion effects. The Tight Fuzz Pro is all this and more with a myriad of different options at your feet you will wonder how you got by without this before. 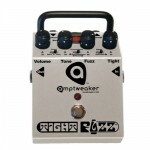 Amptweaker are known for wanting to give you the most control possible over your sound. This pedal is exactly the same and actually offers more control than you could ever need with 3 effects loops that trigger at different times, normal and boost modes as well as an inbuilt octave up feature you really do have everything you need in one box. 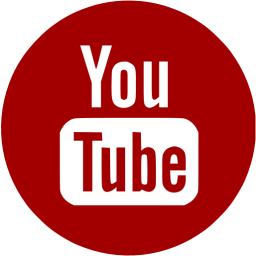 Here is a list of all the controls needed to give you control over this rig. 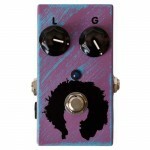 One of the more interesting design options with this pedal is that it has 3 effects loops built in. One that triggers when you turn on the pedal, another that turns on when you engage the boost mode and a third which turns on when the pedal is completely bypassed. The most interesting one is the SideTrak or bypassed loop as it means you can either run off to a second amp for your clean sound or set up an effects set up that only effects your clean sound and turns off when you engage the fuzz. The biggest pain with fuzz pedals is that because they work on a bias they don't really play nicely if other pedals are placed before them. The Tight Fuzz Pro on the other hand has a unique compensated buffer that works just as well as the 10th pedal in your chain as it does going straight from your guitar. 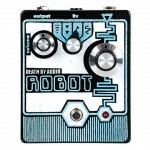 No longer do you have to redesign your pedal board just because you want to introduce some sweet fuzz tones. 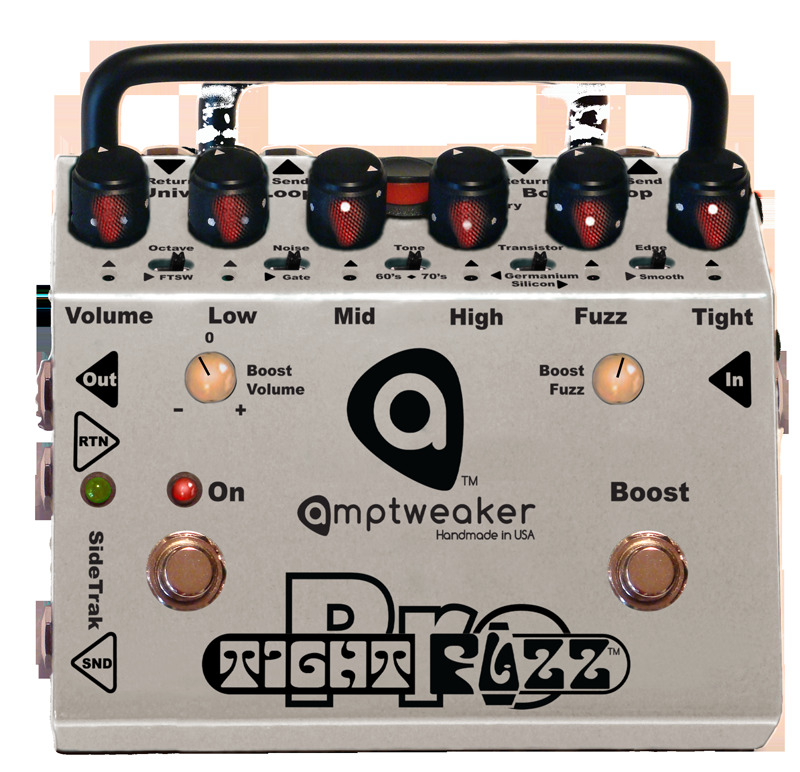 The new TightFuzz was requested by Amptweaker™ players, and this one will certainly add some vintage tone to their arsenal. While most vintage fuzz boxes have very few controls, the TightFuzz includes a Tone control to tame the fuzzy edges and the Tight control, a mainstay of Amptweaker pedals, which varies the pick attack from smooth and thick to tight and aggressive. The FZ-5 is a modern pedal built for the modern guitarist, but its sounds are pure retro. The Calhoun V2 is our collaboration with legendary guitarist and producer Mike Campbell and his first ever signature pedal.